Calling diabetes nurse specialists: why not become a clinical champion? 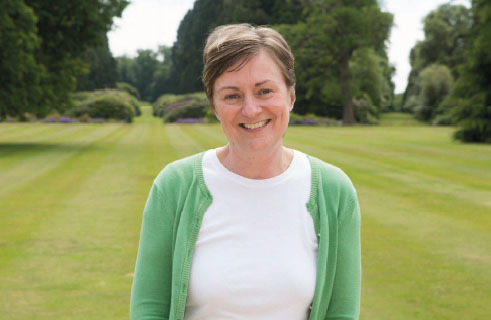 When Debora Brown first heard about the Diabetes UK clinical champions programme it didn’t take her long to decide to apply. A diabetes specialist nurse with Harrogate and District NHS Foundation Trust, she immediately saw the potential for her career and as an opportunity to improve services. Nearly a year into the programme, she is enthusiastic about the impact it has had on patients and on her. ‘I saw it as a way of raising the profile of diabetes locally, and knew there was a real need to do that – and I felt that it would give me a voice,’ says Ms Brown, who has been in diabetes nursing for 23 years. Diabetes UK is recruiting for the next cohort of local clinical champions, and is particularly keen for nurses to apply. The head of healthcare professional engagement at the charity Amy Rylance says diabetes specialist nurses who have taken part so far, including Ms Brown, have made a valuable contribution to the scheme. Practice nurses with a lead role in local diabetes care could also be eligible. Champions can come from any clinical background, and have so far included diabetes specialist nurses, podiatrists, GPs, consultants, dietitians and pharmacists. All are given specific management training and support. Applicants should be enthusiastic about making a difference and in a position to influence others locally. Applicants can come from any clinical background. Since the initiative began in 2014, there have been 29 local clinical champions, including diabetes specialist nurses, dietitians and podiatrists. Champions should have a detailed knowledge of diabetes care, have leadership potential or ability, and be in a position to influence care. They should also show a commitment to improve care for people with diabetes, produce evidence of the ability to lead improvement, and have a willingness to learn from peers. The two-year programme includes around eight hours per month of activity locally or meeting other champions for peer learning. There are also 24-hour residential courses held twice yearly at Ashridge Business School in Hertfordshire, aimed at developing leadership and system improvement skills. Other benefits include support from Diabetes UK to tackle local issues in diabetes care, as well as peer support and access to national guidance, support and expertise. Champions are expected to attend residential meetings at Ashridge Business School in Hertfordshire and take part in the Diabetes UK clinical champion peer support network. Ms Brown, the only nurse member of the June 2015 cohort of clinical champions, highly recommends the programme. ‘My message to nurses would be “please apply”. It’s one of the best things I have ever done. All clinical champions must have support from a senior representative of the organisation that employs them, and Ms Brown decided to go straight to the top. ‘My mentor is the chief executive of our hospital trust, Ros Tolcher. She’s my go-to person if I want to talk about an idea, and she has a great overview of who can help take something forward.’ This top-level backing puts diabetes higher on the trust’s agenda, raises Ms Brown’s profile and helps her make valuable connections to enable service improvement. Her day-to-day role is largely hospital-based, including running specialist diabetes clinics for people with complex needs, working with the renal team, and running antenatal diabetes clinics. But her remit also includes supporting primary care, particularly with education for GPs, practice nurses and patients. This whole-system approach puts Ms Brown in an ideal position to promote change and improvements. So far, she has worked with her local clinical commissioning group to launch guidelines for treating older people with diabetes in primary and secondary care. Anecdotally, she says the intervention has already reduced referrals from the ambulance service for hypoglycaemia in people over 75. Now Ms Brown is looking at taking on two more projects, one to improve blood glucose testing for type 2, the other, diabetes care in residential homes. She says being a champion has given her the confidence and the leadership skills to take these initiatives forward. ‘It’s given me focus,’ she says. ‘As nurses, we often want to change everything in one day, but it’s more effective to do things step by step. It’s also taught me not to be afraid to go to people further up in the organisation. Yes, people are busy, but they want to help. And it’s put me in a position to take things forward, which is great for the service. I’d definitely recommend it’.